The wine is made from 90% pinot noir. Because of that it is complex with a strong structure and clear aromas of red fruit. .Aromas of jasmine and apples also mark this tasty elegant sparkling wine. Beautiful harmony between the lively structure and delicate texture give the wine finesse and excellence. Fine, long aftertaste. Wine was made in this region already in the 12th century. The Drappier family is making champagne since 1604 onwards. As an interesting detail we would like to share with you the clients of the house Drappier. One of them was the legendary general and later president Charles de Gaulle. During the presidency of Jacques Chirac Drappier was the official champagne of the Champs Elisées. Other clients include the Japanese Emperor, Zinedine Zidane and the late Luciano Pavarotti. Drappier is fairly unknown in Slovenia. The reason for that is simple. The cellar is only vinifying grapes from their own vineyards, which are being ecologically managed. The quantities that other champagne houses are producing are therefore impossible to achieve. Drappier is considered a first class brand in France and the majority of the wines are sold in the demanding home market. • Cuisine et Vins de France: "Winemaker of the year 2002" • Hugh Johnson: "Already since the time of Napoleon a dynamic producer with character champagnes for connoisseurs. Today highly appreciated worldwide. “ • Serena Sutcliffe (Sotheby´s): "highly recommended." 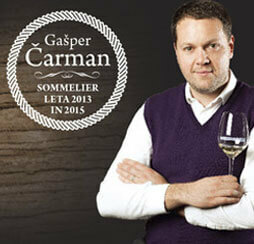 • Robert Parker (Wine Advocate): "Excellent" in the category of the best Champagne. • Tom Stevenson (Christie´s World Encyclopedia): "Producer of first class Champagne." • Horst Dohm (F.A.Z. ): "Even in the big tastings the Drappier Champagnes are always good enough for the first places.” • Weinwirtschaft: "Today Drappier can be considered as one of the 10 best Champagne houses.” • Champagne Magazin: "With a potential of a superstar. One of the last family companies. And one of the best."